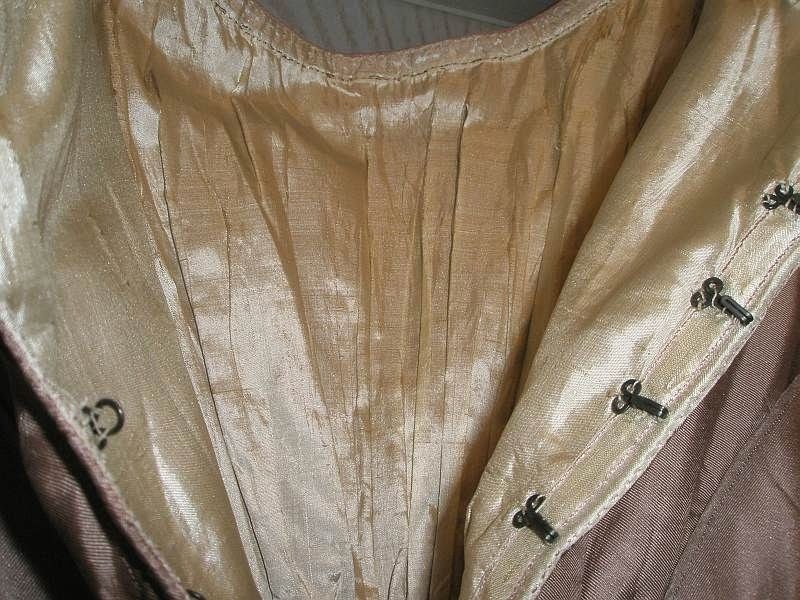 Beautiful and superb antique English twill silk dress in beige old rose and dating to about 1825. 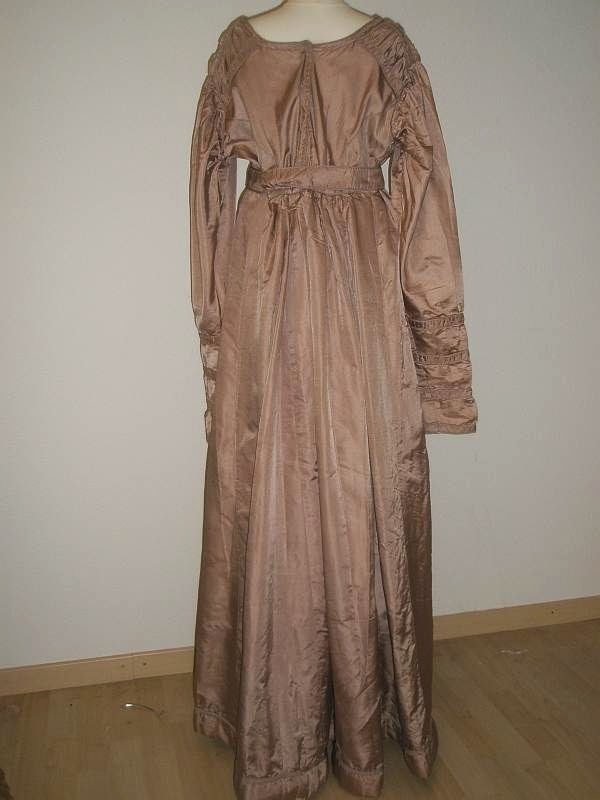 It is known as a "walking dress", and would have been worn for afternoon outings. 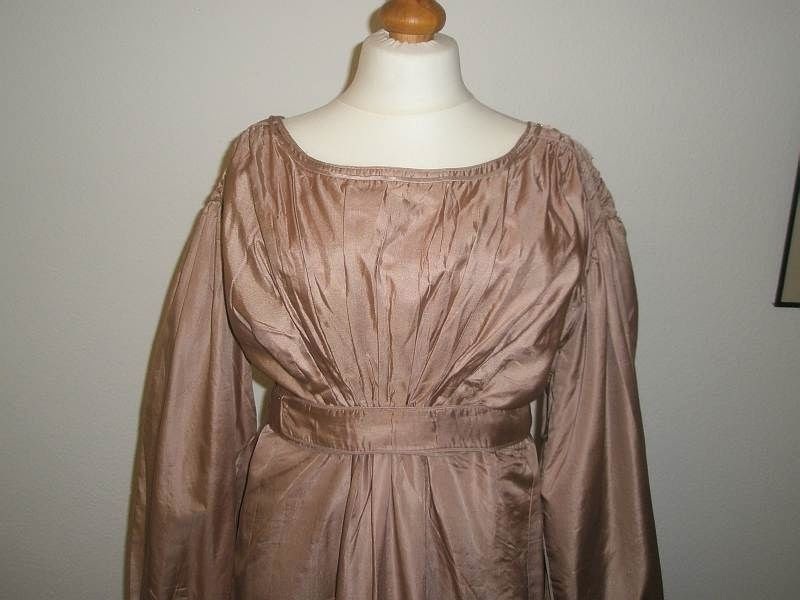 There is beautiful shoulder detail, which is repeated on the long sleeves, fixed belt around the waist, and padded hem. 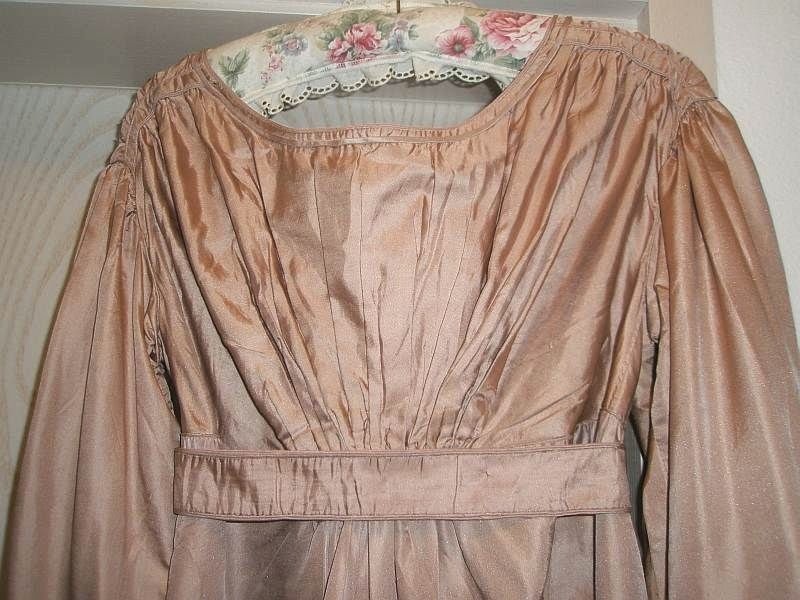 It is partially lined in cream silk. 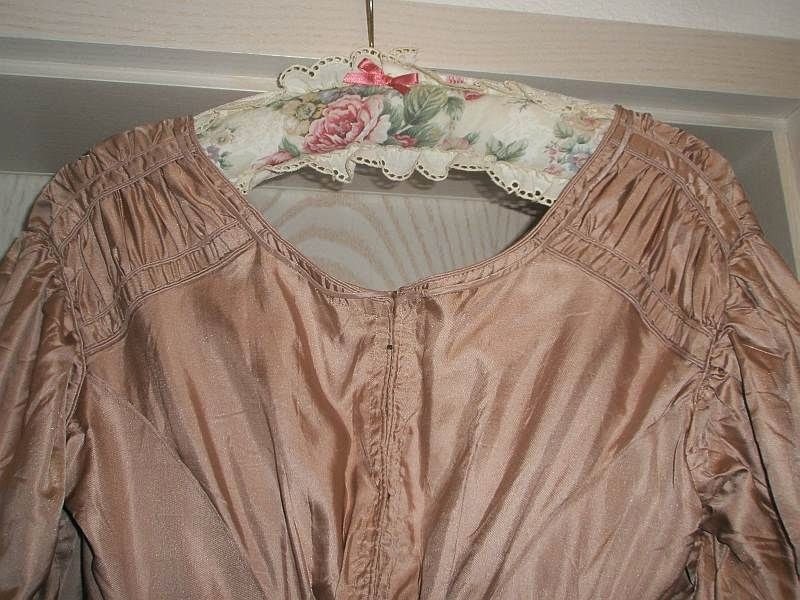 Dresses from this period are hard to find in such good condition, and this would display beautifully on a mannequin, with some accessories. My mannequin is a little small, so the the dress sags a little on the shoulders, making the sleeves appear longer than they really are. The condition is very good. 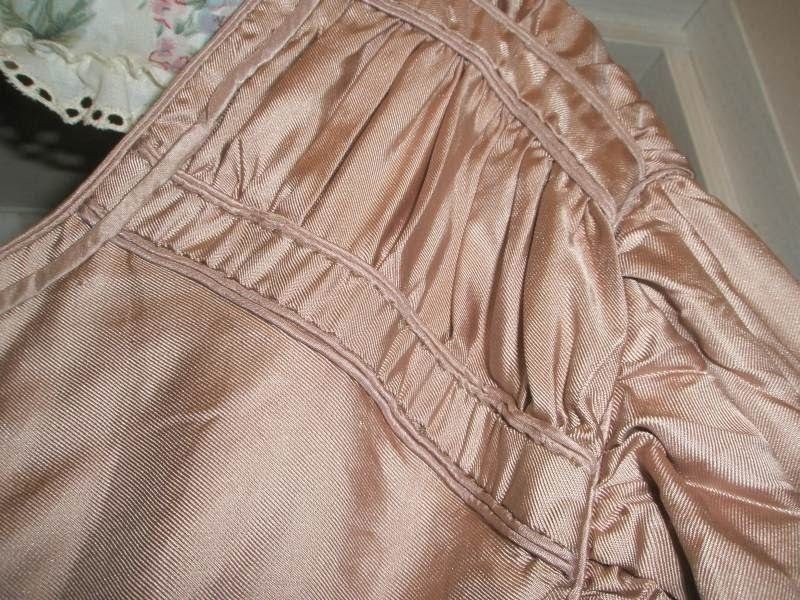 There is some splitting to the cream lining, which does not show of course, and a little to the padded hem. There are some hooks and eyes missing at the back closure. 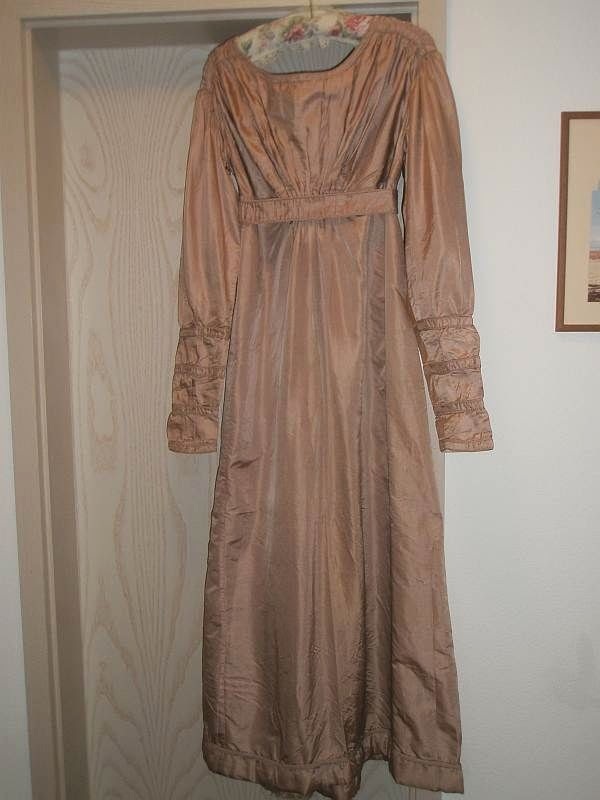 Apart from this the whole dress is very good and in strong condition. There are some shadows on the dress which is from the lighting. The silk is perfect. 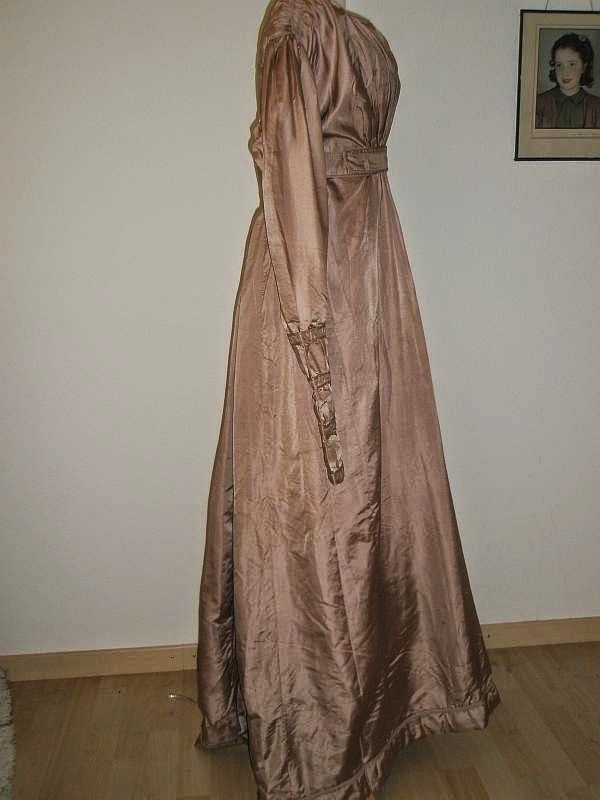 Please note; my relatively low start price does not reflect the value of the gown. Measurements: Length 55". Across shoulder 19". 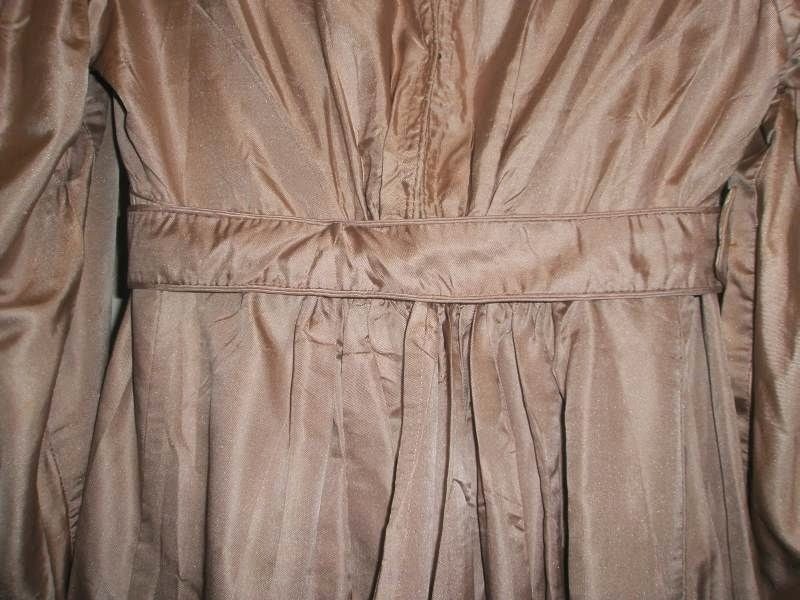 Waist across 15" (so a large waist but variable with the belt). 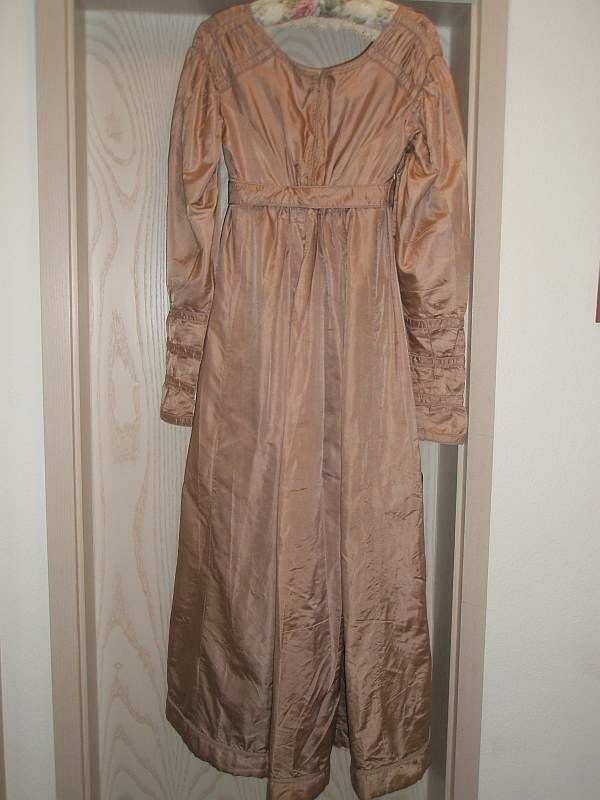 I'm really glad no one bid on this one because it's not a late 1810s/early 1820's dress like it looks to be. The easiest way to tell -as it usually is- is with the interior shot. See the hooks and eyes? Look at the stitch lines beneath the hooks and eyes. Yeap, machine sewn on the edge. 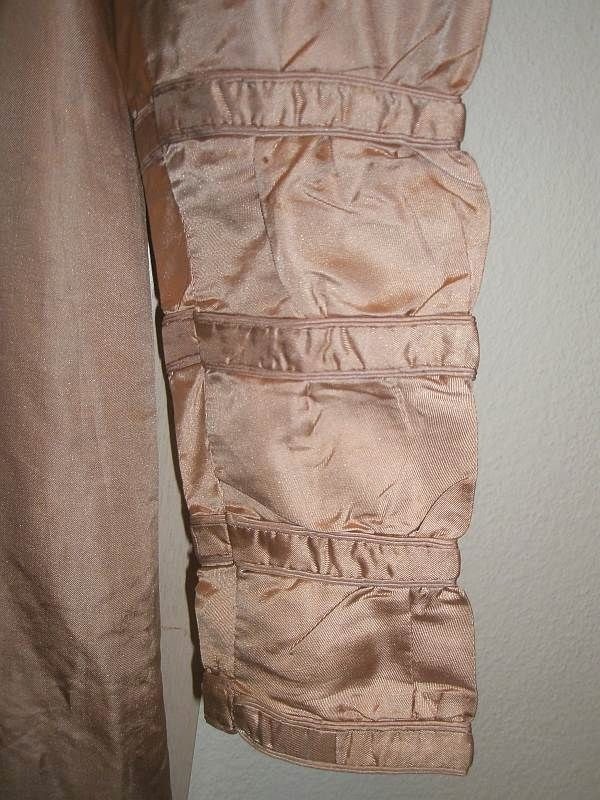 (The inner most edge appears hand sewn but the middle one looks machine. The shoulder in that shot looks machine as well) If you look at the shoulder detail, you'll see machine sewn stitches there too. My guess is this is fairly modern - late 20th century at it's earliest.